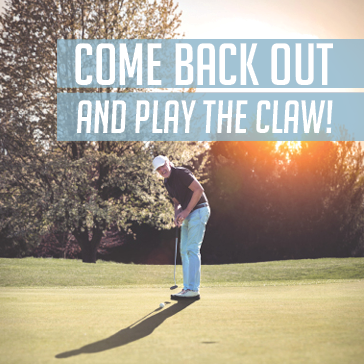 Come Back Out and Play The Claw! The course is in good condition! We appreciate your business. Must present printed email at check in. Valid only between 3.14.16 – 3.18.16.